Please Note: The sizes available above are Brazilian sizes and not European sizes. Please see the above photo for the correct UK size. 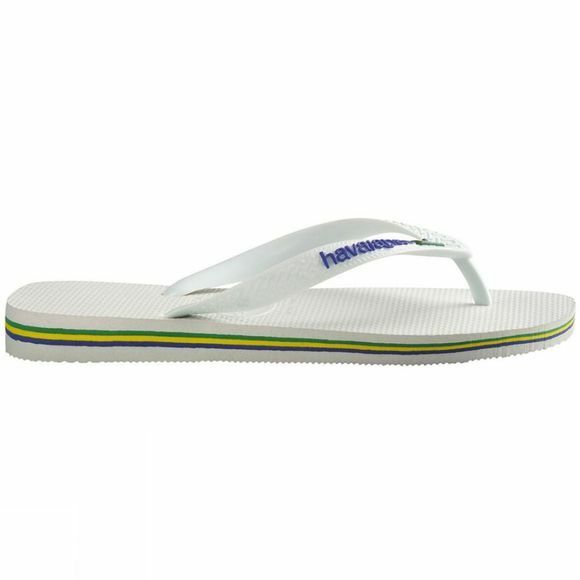 Brazil's original and authentic flip-flop have a rubber sole and coloured logo on strap making them one of Havaianas most famous models. 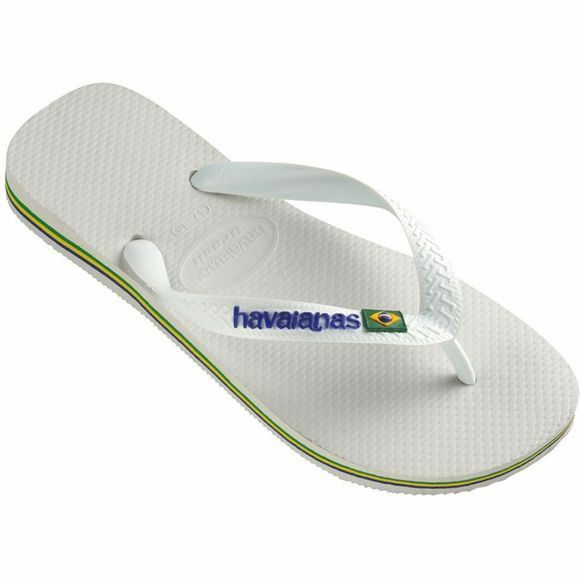 The Brazil Logo coms with a Greek key pattern on the strap, rice grain pattern on top of sole, a brick pattern on bottom and a Brazilian flag on the strap.